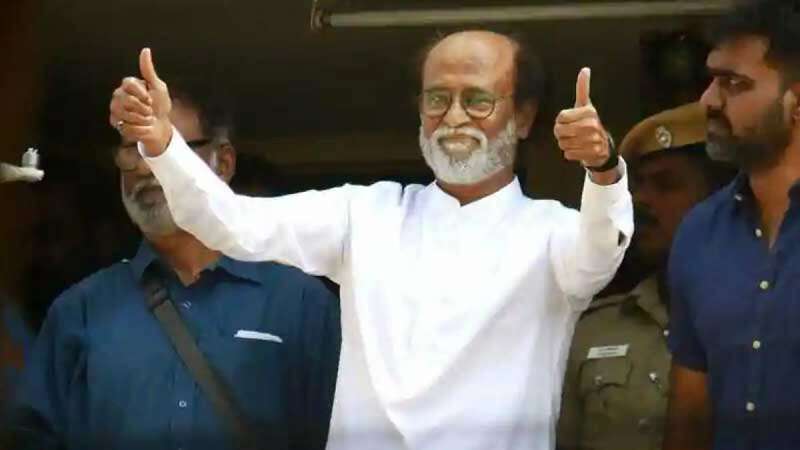 New Delhi : Ending speculations, Rajinikanth said that he will not be contesting the upcoming Lok Sabha Polls, also will not support any political outfit. He had recently launched a political party Rajini Makkal Mandram. He also appealed to the people of Tamil Nadu to vote for a party they think would be best fitted to fulfil their needs. "I am not contesting in the forthcoming Parliamentary elections. Our target is only the Assembly polls. I am not supporting anyone and no one should use my picture or outfit's flag for political campaign purposes," he said. "Rajini Makkal Mandram has no support to any party in the upcoming Parliamentary elections. No one should use my photograph or the flags of the Rajini Makkal Mandram for campaigning," the actor said in a statement. Rajinikanth, who turned 69 in December 2018, had announced his political entry on December 31, 2017 while interacting with his fans in Chennai. He had then said his to-be-launched political party will contest in all the 234 assembly segments in Tamil Nadu during the next polls, due in 2021.